I'm not a big fan of wearing heavy face makeup on the daily, so bb creams tend to be my best fit. For the past few years, I've been pretty loyal to my very fair-toned Korean bb creams, for their great coverage and porcelain finish. More recently, I've been opting for less coverage and a warmer tone, achieved with some other american and european brands. 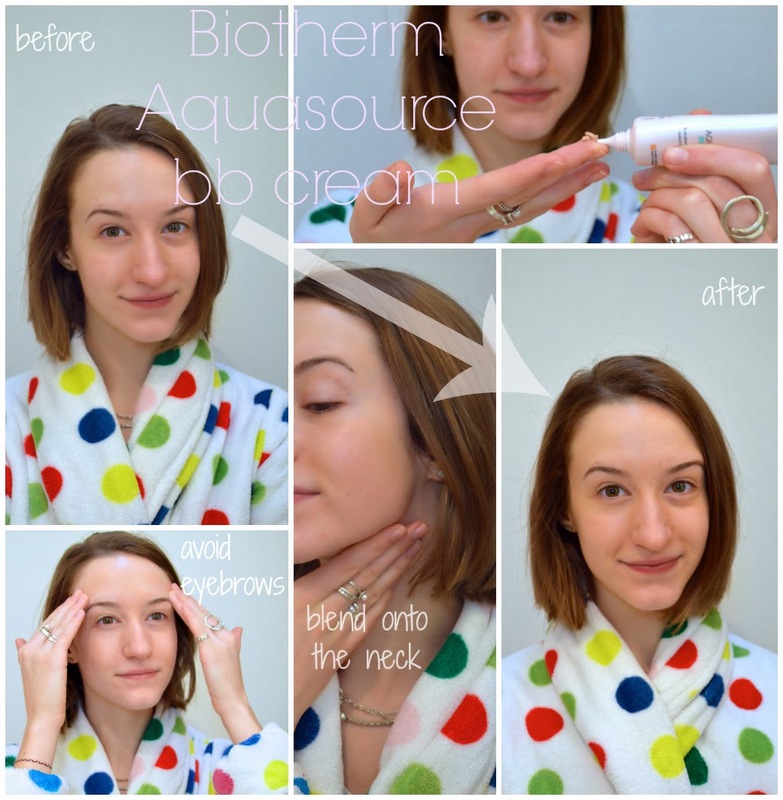 See below how I apply my Biotherm Aquasource bb cream, which adds just enough glow and is nourishing for the skin. When applying any kind of face makeup, it's so important to really blend the product into the skin for a long-lasting, natural finish. Also, never forget the neck! Simply blend product down past your jawline, to create a seamless finish from your face to the rest of your body. Don't apply more product onto the neck, just drag down whatever remainders you have around the jaw area. Also, avoid applying too much product around the hairline and eyebrows- caky looking brows is not cute. One of my tried and true tips is applying your makeup in natural daylight, or using blue-toned daylight bulbs. Yellow or pink toned light bulbs can cast an unnatural colour onto your skin, causing a patchy, dark application of makeup. Don't stand too close to a mirror to avoid over-application and an uneven tone. So to sum it all up, apply just a small amount of face makeup, in natural daylight, standing at least a foot away from the mirror. Fix any other discolouration using light layers of concealer, not more foundation/bb cream. 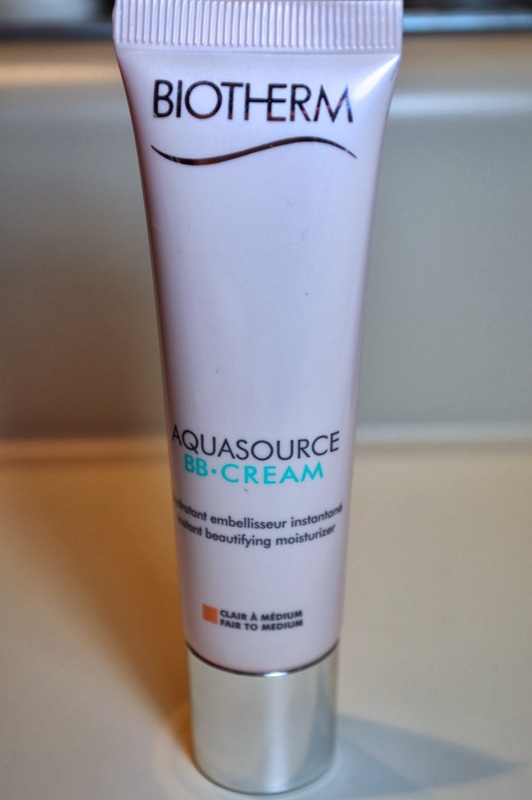 Thank you to LOULOU Magazine for introducing me to this wonderful Aquasource BB Cream from Biotherm. It is a great blend of makeup and skincare, providing a natural hint of coverage and great skin-perfecting benefits. Definitely one of my new faves.